Scale 4x4 R/C and Jax Coffee & Roastery are proud to present Scale 4x4 R/C Coffee! That'r right, now you can fuel you late night scale builds with "Scaler Brew"!! Available in 2 distinct flavors, 1.9" Medium Roast and 2.2" Dark Roast! To place your order visit Jax Coffee & Roastery! 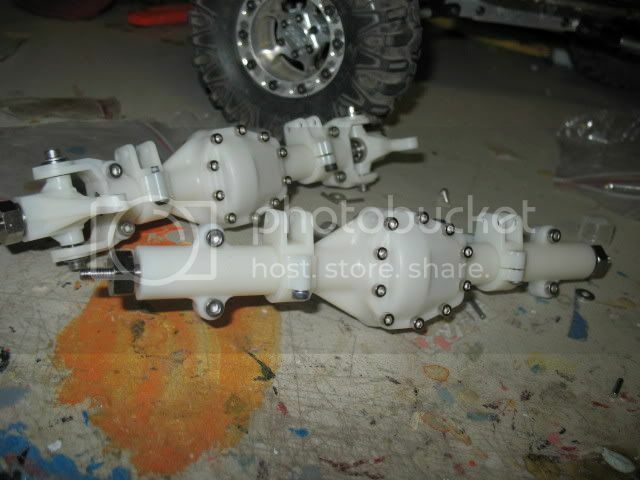 T-Rex 60 Plastic Axles, Final version! The much anticipated RC4WD Plastic T-Rex 60 axles are here at last. Here I'll take you through the overall design of the axles, what makes them work, and give you lots of pictures to look over too of course! Read on to find out if these are the axles for your next scale build. RC4WD T-Rex 60 plastic axles! Finally, affordable axles that look like the real deal! If one word could sum up the 2008 MSD Scale Nationals in Helena, Montana on May 16-18, it would be that one. Mental carnage from the competitors running on 4 hours of sleep and partying into the late hours, physical carnage from toting rigs on deer trails at 5500 feet, and lots of mechanical carnage. Whether it was Badger’s Mounty lawn-darting from 25 feet when a tow strap broke, bending the frame, or flaming Wheely Kings, or submarined rigs, broken driveshafts, stripped ring & pinions, snagged winch cables, broken links, bent shocks, smoking ESC’s, cracked bodies, stinking sleeping bags (the less said about sleeping bags the better), the MSD Scale Nats had it all. Be sure to check out our coverage of the Scale Nationals in Montana by our very own Stu a.k.a Dremelit! 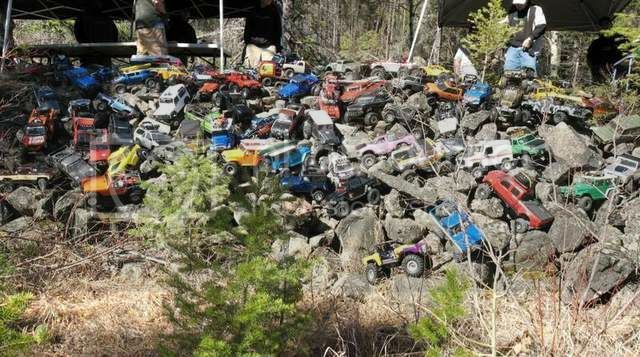 Scale 4x4 R/C Createacrawler.com & RC4WD Raffle Grand Prize Drawing!